Is SEO Glossary compatible with Kunena forum? Yes but you need to configure the plugin: Kunena content to call SEO Glossary in the content like bellow. 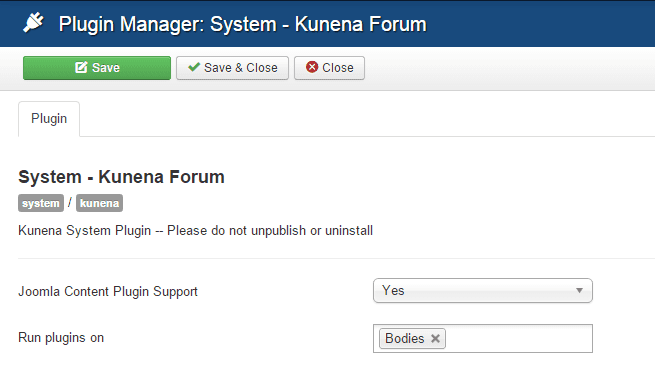 Yes but you need to configure the plugin: Kunena content to call SEO Glossary in the content like bellow. Components -> Zoo -> Settings tab -> For exemple Cookbook -> Hover to recipe and click "Edit Elements" -> Choose "Load Plugins". The alphabet letters or caracters are fully customizable in each glossary. So you can manage caracters and make specific glossaries. Example: create a glossary with only numbers. Yes, you can apply CSS on glossary term in article and also on the component view. But in most case you won't need it because you have some visual selectors for colors, border-radius, shadow, tooltip styles... in component parameters. Yes, you can add as many definitions and also create as many glossaries as you want. Then use menu item or a general parameter to display your glossaries. Yes you can disable tooltips using the parameter: "Call content plugins for definitions". Using a general parmater you can also choose to only show the tooltips. SEO Glossary was built using Joomla standard files. Not in an automatic way, but there is a tutorial make by a customer on our forum (thanks to corpus). 4. Press the Go button, you can see now the results.